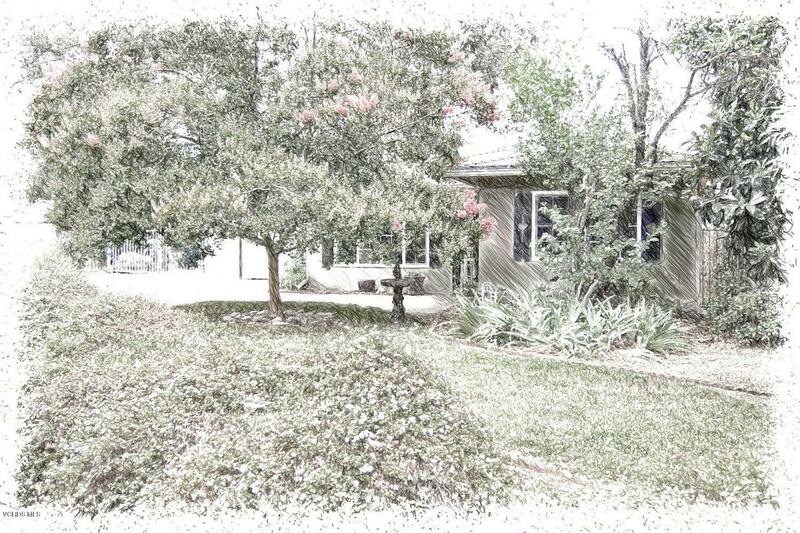 Tucked away just one-half mile from Meiners Oaks Village you'll find this 3 bedroom/1.75 bathroom Americana home. At first glance you're drawn to the towering Crepe Myrtle tree exquisitely blooming in the front yard, inviting you to come inside to sample this home's charms. 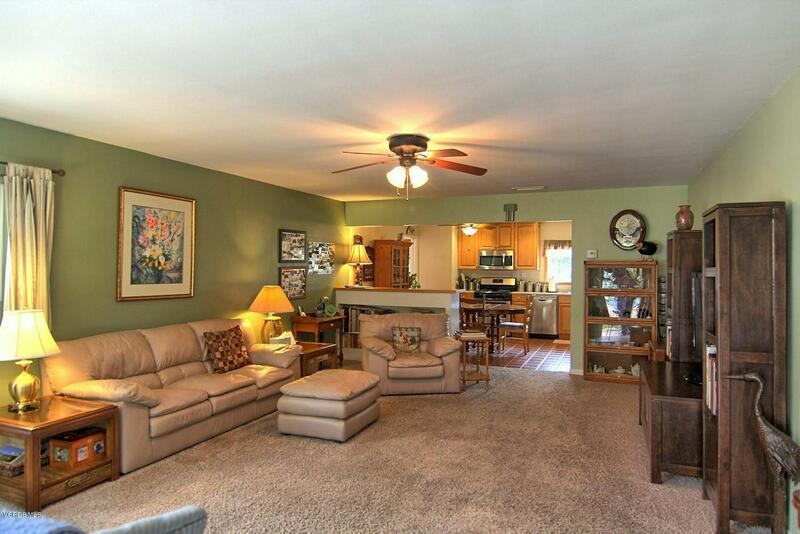 Inside you'll find a comfortable living area with an updated kitchen behind it. The kitchen boasts updated cabinets with wood and glass doors, tile flooring, all the creature comfort appliances you would expect when cooking a great meal, and an expansive, sunny window overlooking the back yard. 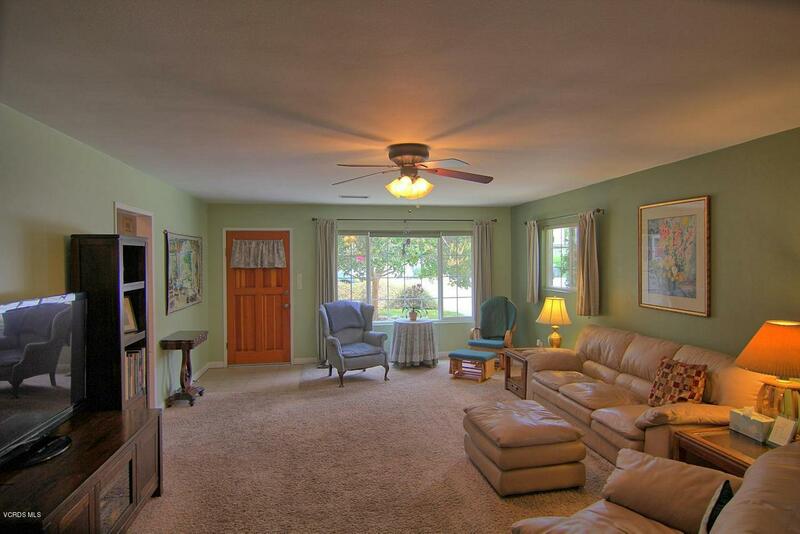 Of course, there are also three ample sized bedrooms as well. The back yard highlights a covered patio, orange and lime trees, apples galore hanging over the fence, and a few unexpected thriving hibiscus trees (just to name a few of the many plants). However, one of the prettiest features of the back yard is the beautiful morning glory vine - don't miss it! 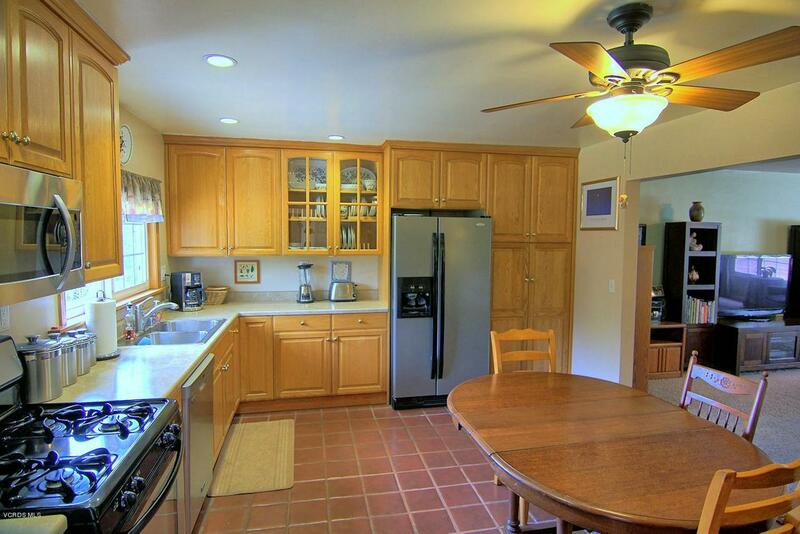 This home is the perfect place to enjoy all Ojai has to offer. Sold by BRE#00780642 of Skyview Mortgage & Real Estate. Listing provided courtesy of Cheryl Deckert DRE#00780642 of Keller Williams West Ventura County and Maria Depaola CA DRE# 01877842 of Keller Williams West Ventura County.